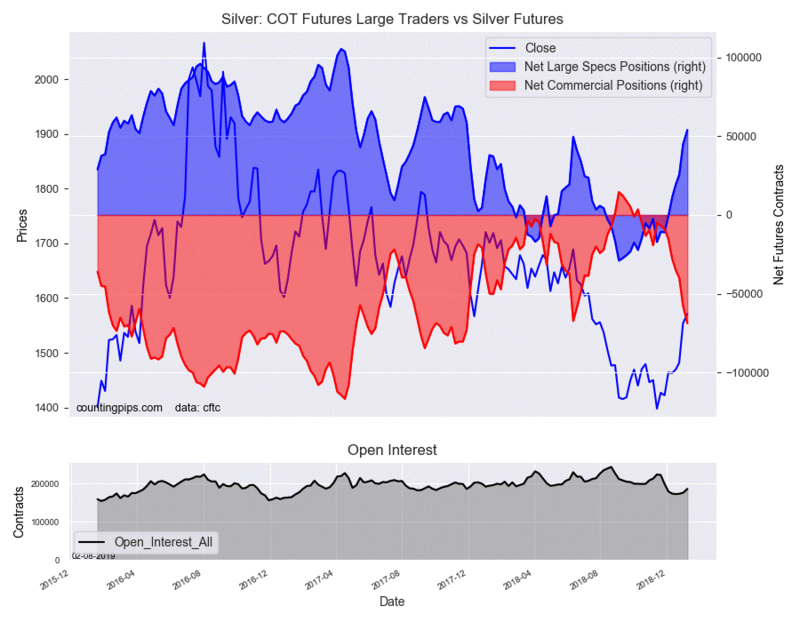 The non-commercial futures contracts of Silver futures, traded by large speculators and hedge funds, totaled a net position of 54,023 contracts in the data reported through Tuesday, January 8th. This was a weekly gain of 9,064 net contracts from the previous week which had a total of 44,959 net contracts. 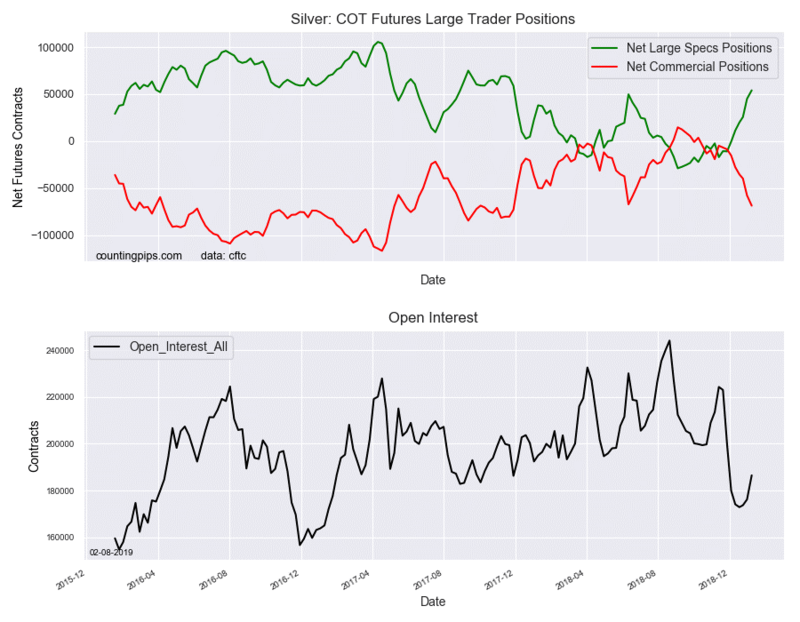 The speculative silver position rose for the sixth straight week through January 8th and by a total of 64,989 contracts over that time frame. The January 8th standing marked the highest level for silver bets since November of 2017. The commercial traders' position, hedgers or traders engaged in buying and selling for business purposes, totaled a net position of -68,791 contracts on the week. This was a weekly decrease of -10,937 contracts from the total net of -57,854 contracts reported the previous week.